The Aztec Empire was famous for its gold. Huitzilopochtli or Tonatiuh was their sun god. Gold and the sun are tightly connected in many cultures because they share the same brilliant yellow colour. The Aztecs used gold for artefacts in connection with their religion, and also used it to decorate clothing. It was for gold that Diego Velásquez ordered Herman Cortes in 1519 to reconnoitre Mexico, and for the same reason that Cortes disregarded Velásquez's orders to conquer the Aztec Empire in the name of the King of Spain. Mexico, known as New Spain remained under Spanish rule until independence was declared on 16th September 1810 by Father Miguel Hidalgo, although full independence was not achieved until 1821 under General Agustin de Iturbide. 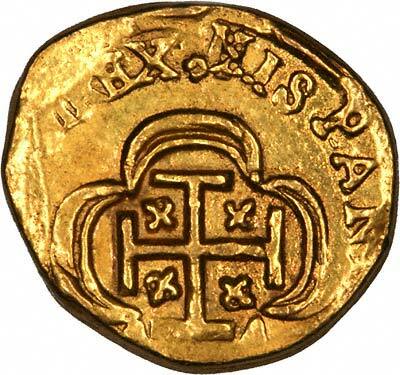 During this period most coins were of Spanish type, and are often only distinguished by their mintmarks. 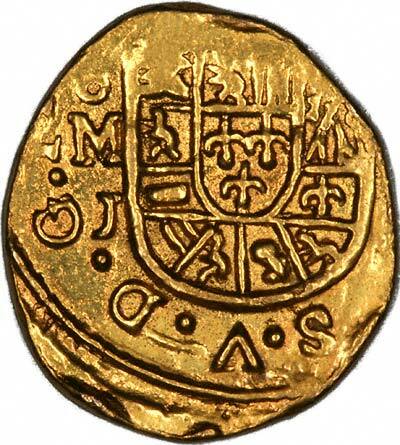 The gold coins issued being escudos, 2 escudos, 4 escudos, 8 escudos, and half escudos. From 1821 until the Reform Constitution of 5th February 1917, underwent considerable political upheaval, since then it has been one of the most stable nations in South America. The coinage remained based on Spanish coin types until the adoption of decimal currency in 1864 based on the peso, but appears to have produce the pre-decimal coins for a few years alongside the new coins. We often have Mexican gold coins for sale. The table below show specifications for Mexican gold coins, followed by coins for sale from our stock. For a more complete listing of 50 pesos, please see our separate Mexican 50 Pesos page. Official medal in 22ct gold. 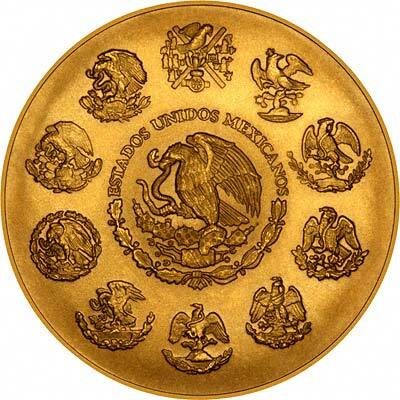 For Mexican coins in silver or base metal, or Mexican coin sets other than gold, please look at the Mexican Coins page of our original website. 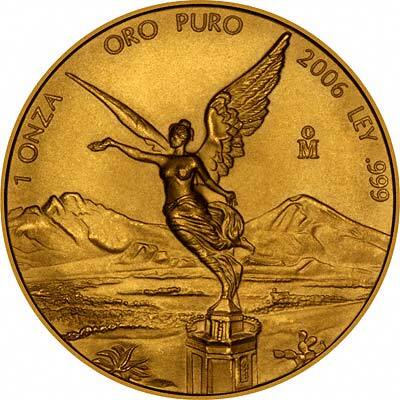 We make an active market in almost all world coins, gold or otherwise, including Mexican gold coins, whether listed on this page or not. If you have any of these coins to sell, please contact us, or post them to us for appraisal and offer.